You’ve made Randy Marion a winner! ...And the award goes to you! Your loyalty made us one of the nation’s top GM dealerships but you’re the big winner! High volume means consistently lower prices and that’s why Randy Marion always saves you money! Ad Submissions: ads@lakenormanwoman.com Lake Norman Woman reserves the right to deny any advertisement or listing that does not meet Lake Norman Woman standards. Submissions are welcome but unsolicited materials are not guaranteed to be returned. 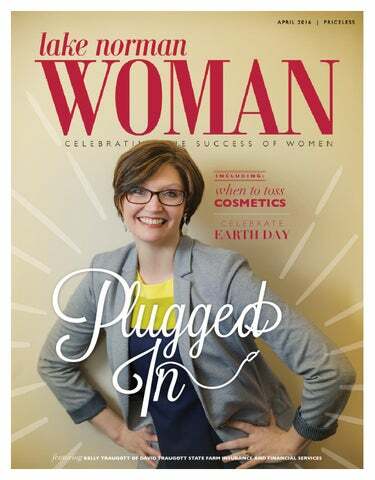 Lake Norman Woman assumes no responsibility for information, products, services or statements made by advertisers or editorial contributors. An advertised special printed in this publication is subject to change without notice. All rights reserved. Reproduction in whole or in part without written permission from the publisher is prohibited. that our nation “is the greediest and most selfish country in the world.” The United States of America is in trouble. We’re the most divided we’ve been since the Civil War. We’re broke ($14.34 trillion in debt). Third-world countries secure their borders better than we do. America is heading off track, and, sadly, most presidential candidates seem to be strapping in and bracing for the train to derail. They certainly aren’t plugged in to what most Americans want: the right attitude to get America back on course. Americans want this country to be tough, bold, aggressive, and confident, and they want a president who is the same. Even though he led a nation even more divided and more in jeopardy than ours today, Abraham Lincoln described America as “the last, best hope of Earth.” We need a president like that—one who believes that America, for all her problems, is still worth fighting for. We need a president who will stand firm as hard decisions are made. We need a president who, like Lincoln, is plugged in to the greatness of this nation and who is an unapologetic champion of American ideals. I don’t know whether or not any of our presidential candidates are, or even could be, our next Abraham Lincoln. But I do know that Lincoln’s last, best hope is fading fast. It is my hope that whomever we elect next November will get plugged in to an attitude that will allow us to reverse course. It is my hope that our new president will believe in America and will believe in the principle of “We the people.” It is my last, best hope that whomever we elect in November, will get plugged in to our unique American spirit and dedicate himself, like Lincoln, to ensuring that government of the people, by the people, for the people, shall not perish from the Earth. MIND BODY SPIRIT: What Is Your Power Source? tell us we spend a lot of time hooked up to our computers, our cellphones, our tablets, and TVs. The concern for many is that our social skills are deteriorating, especially for our youth who are getting “plugged in” during their early, formative years. However, according to the American Psychological Association (APA), most research has not supported this theory. “While time spent online does displace time spent with friends and family,” the APA reports, “frequent virtual communication has been shown to strengthen the quality of existing relationships.” Technology may be our friend, but as humans we need personal contact and interaction, too. devices of any type (including television). Whether it’s around the kitchen table, at a local restaurant, or even at a picnic in the park, take the time to engage with phones off. •	While technically you are still “plugged in” when using the phone, try calling instead of texting your family and friends. Isn’t it much nicer to hear, “Mom, I love you,” rather than to read, “Later…xxo”? •	Have the entire family take a month-long break from Facebook and other social media. It gives you a chance to step back and live life, instead of just posting about it. You might be surprised how much more time in the day you have. •	Exercise without electronics. If you exercise with someone, engage with conversation. Or if you go it alone, simply be with your thoughts and the sounds of nature. •	Schedule game—board games, not videos— night with the family. •	Be more tangible and hands on. Read a physical book (with actual pages), for example, or do some crafting or home improvement projects. •	Get back to nature by taking the family camping or hiking. Experiencing the great outdoors is a must for our human brains; and uninterrupted time with family is priceless! vice president in charge of executive and leadership development and training, I felt there wasn’t enough time left for my family. Two years after an early retirement, I started RES Interiors in 2010. Ken and I had built six houses together—we’re working on number seven! I loved both the design and building processes, so I gravitated toward that. After a couple projects for friends, I took some color and design courses to supplement my practical experience. From where does the name RES come? My middle daughter, Emily, actually came up with it. She was 10, and said she had just the name: ‘RES Interiors…get it?’ She clarified: ‘Riley, Emily, Sam…R-E-S.’ How could I say no to that! It may not win any branding awards, but it sure does bring a smile to my face! career required that I be away a lot. When I’d make it home, it took me a while to unwind and reconnect with my family. Now, I’ve had more time to actually plug back in to myself, my family, and my community. My home office allows me to stay in the Lake Norman area. I can be there when the kids come home from school and attend their after-school activities. The best part, though, is that I’m doing what I love every day! What recharges you? In my free time, I love to run, be on the lake, and snow ski. We look forward to an annual trip to Colorado and Utah. I also love to read. The down time might not happen often, but it’s a great way to relax. In the fall, one of my favorite things to do is watch college football—especially my alma mater, the Clemson Tigers! I love the serenity the water provides, the true sense of community that exists, the commitment to family, and the relaxed nature of the people who call Lake Norman home. Kathy McLeod, member of the Interior Design Society, owns RES Interiors in Mooresville, which focuses on renovations and new construction interior design needs. For more information, visit www.resinteriors.com. of High Intensity Interval Training, or H.I.I.T., is happening because it helps individuals reach their fitness goals faster than ever by maximizing calorie burn and building muscle in a shorter period of time, according to many recent studies. H.I.I.T. workouts involve a combination of short bursts of intense exercise, followed by a resting period. But what is even considered an “intense exercise”? How do individuals working out, whether first-time exercisers or seasoned athletes, know whether they are maximizing their workouts and hitting their maximum intensity level? Thanks to breakthroughs in exercise technology, tracking one’s workout intensity level is easier than ever, no matter the level of fitness. Heart rate monitors, worn around the chest or on the wrist, combined with Bluetooth technology, have become increasingly popular as an accurate workout tracking device. Today’s heart rate monitors track workouts in real time and display progress during the workout. Heart rate monitors can either be worn alone, depending on the device, or they can be synced with various exercise apps. For example, when talking about a H.I.I.T. workout, to reach an “intense level,” the heart rate will peak above 84 percent of one’s maximum heart rate, which indicates that the wearer has entered his or her “anaerobic zone.” Since every person’s maximum heart rate is individually determined, reaching 84 percent of the maximum heart rate will be different for every single person. Thus, heart rate monitors allow the individual to ensure she is getting her own personal best workout— and not just following what other people (and other fitness levels) are doing. Then, during an active recovery interval, the heart rate should decrease as the individual returns to their “aerobic (fat burning) zone.” The heart rate monitor allows the individual to track all of these intervals throughout the entire workout. When the body has worked in this anaerobic zone for short bursts of time throughout the workout, it takes the body more energy to recover after the workout, resulting in even greater calorie burn. improves. For example, a sign of improvement is how quickly one’s heart rate can recover from anaerobic to aerobic. Conversely, as people improve their workouts, they may find themselves needing to push harder to get back into that intense anaerobic zone. Today’s heart rate monitors are a way to ensure one’s workout is as efficient as possible, while also taking out much of the guesswork. No more, “Do I need to run faster?” or “Should I do more jump squats?” If you are going to work out, why not make it the best effort possible? OrangeTheory Fitness uses this heart rate-based training technology during its 1-hour workout that mixes endurance, strength, and power to help people reach their individual goals in a fun, upbeat class setting, ensuring that you are not overtraining or undertraining during any workout—but rather, making the most of that one session! OrangeTheory Fitness—Lake Norman is located at 20619 Torrence Chapel Rd., in Cornelius. For workout sessions and information, visit http://cornelius.orangetheoryfitness.com, or call 704.964.2557.
should appear on the product and will tell you when to discard. to have a shorter shelf life because water fosters the growth of bacteria. Powders, on the other hand, lack moisture and last longer. When to Toss Beauty Products While the U.S. Food and Drug Administration (FDA) does not require cosmetic manufacturers to put expiration dates on their product labels, it is important for consumers to be aware of shelf life. Product inefficacy and dangerous bacteria growth are two valid reasons to toss opened cosmetics when it’s time. longer because they are not exposed to air or the bacteria from your fingers. life so be more vigilant about replacing those on a regular basis. If a product seems too oily, is discolored, or has a strange odor, go ahead and throw it out. For more information on cosmetics and beauty products, visit the U.S. Food and Drug Administration at www.fda.org. Community starts with neighbors who care. That’s what our town is made of. State Farm® has a long heritage of helping out in the community. That’s why I’m proud to support Shirley's Angels. out there and make your own luck by creating opportunities. love to be in nature, by the water, or in the woods. a snack person typically, but probably mixed nuts. with family and friends, to read, to sit by the water, to travel, and to pursue more business opportunities. Let’s face it; our big blue planet is changing— and some of the most endangered spots on Earth could be disappearing altogether. THE UNITED NATIONS EDUC ATIONAL, SCIENTIFIC , AND CULTURAL ORGANIZATION (UNESCO) WORKS TO IDENTIFY AND PROTECT THE PLACES THAT ARE VALUABLE TO HUMANKIND, BOTH CULTURALLY AND ENVIRONMENTALLY. EARTH DAY IS APRIL 22. Glacier National Park Located in northwest Montana, Glacier National Park encompasses more than one million acres and provides a pristine environment for a wide array of wildlife, including the grizzly bear, moose, and wolverine. Because of global warming, only 25 active glaciers remain in the park. Experts predict that if warming trends continue, all the glaciers will be gone by 2030.
much good news for glaciers. Without a major climate change, the glaciers will continue to recede. However, restrictions on mining, logging, gas, and oil explorations are stringently enforced within park boundaries, and much is in place to protect and preserve this national treasure. THE GOOD NEWS: In 2000, Congress enacted the Comprehensive Everglades Restoration Plan, a 30-year plan to restore, protect, and preserve this and the surrounding area. The Dead Sea is 10 times saltier than the Atlantic Ocean, and its shores are more than 1,300 feet below sea level. For thousands of years, people have © Danuer | Dreamstime.com flocked to the water for its biblical significance as well as its healing minerals. Sadly, however, the Dead Sea is dying. The Jordan River, its tributary, is being taxed—people and industry are simply using it up. THE GOOD NEWS: In 2013, Israel, Jordan, and Palestine recently signed an agreement to build a pipeline to link the Red Sea to the Dead Sea to slow the shrinking water levels. While this frozen tundra may seem inhospitable, it is home to a varied ecosystem. With penguins, seals, whales, and more, Antarctica teems with life. Climate change and overfishing are changing this balance, threatening to disrupt its fragile ecosystem. THE GOOD NEWS: A treaty designates Antarctica as a “natural reserve, devoted to peace and science.” As the world’s natural laboratory, Antarctica is strictly protected because of the science it offers researchers—from anticipating climate change to how mankind is impacting the planet. For more information on endangered areas and what we can do about them, visit UNESCO at en.unesco.org. When you see a divorce attorney for the first time, perhaps you are only considering your options and what the impact of a divorce will be. If you are not ready for divorce and want to maintain the marriage, or if you are ready but having trouble taking the next step, a divorce attorney will happily refer you to a local counselor who can either provide marriage counseling or separation counseling. investigator and the succeeding interview will result in information that will enable you and your attorney to determine whether or not to proceed with litigation for alimony and/or alienation of affection. To promote the children’s well being in the face of the sometimes dramatic changes divorce introduces, counseling may be necessary. If you have children and the separation and divorce process seems to be taking an emotional toll on them, there are a number of good counselors that can impart practical advice and unbiased guidance to children as they have to deal with the changes in their lives. Whether you are considering entering into a separation agreement and wonder how different decisions will affect your single financial picture, or the judge has divided the assets and you need to know how to manage your financial future, you could use the help of a Certified Divorce Financial Analyst (CDFA). Should you choose to hire a CDFA, they will work closely with you and your attorney with issues in valuing and dividing property, retirement assets and pensions, spousal and child support, splitting the house, tax problems and solutions, and tax law and financial issues affected by the divorce. If necessary, they can provide expert witness testimony at a trial. If you are awarded the house in the settlement and are required or desire to refinance the home, a referral to a mortgage broker can be the best solution to find a lender. A mortgage broker represents many lenders that will consider your application, and in instances of possible difficulty in qualifying, a mortgage broker is more likely able to find you the financing. Whether the breakup was caused by financial issues or the divorce caused financial issues, bankruptcy may need consideration. A recommendation to a bankruptcy attorney could help to gather needed information to determine how to proceed with the divorce, eliminating some of the anxiety and stress. Judith M. Daly is a North Carolina State Bar Certified Family Law Specialist. For more information, contact her at Daly Family Law Firm at 704.878.2365. Financial Services in Mooresville, at which her husband, David, is the business’s independent contractor agent. The couple built this company in the Lake Norman area after moving here two years ago. Kelly and David also have four children: daughters Alyssa (12), Meredith (11), and Brooklyn (9); and son Isaac (5). when she was 15 years old. Her father was a pastor, and David’s family started attending their church in Florida. They became great friends. Before long, these high school sweethearts were part of a group of close friends that remain so to present day. The group also included three other couples—all married today. Two couples still live in Florida, and two live in North Carolina. They vacation together regularly, and their friendships are still very important to one another. • FREE Monthly Vein Screenings! of Lembo & Montgomery Family & Cosmetic Dentistry, have received the inaugural North Carolina Women Leadership in Action Award for their outstanding leadership, iconic global presence, and inspiring business know-how. They were honored in March at the Career Mastered: Women’s History Month Leadership in Action Awards dinner and program at the Charlotte City Club. The Lake Norman Chamber awarded TRICIA SISSON , with her husband, Brian, the Robert T. Cashion Business Persons of the Year Award at its annual meeting. The Range at Lake Norman, which opened in 2011, with 18 employees, is the only femaleowned gun range in North Carolina. KERI WASS has opened Caring Transitions of Lake Norman in Huntersville. Keri is a certified relocation and transition specialist (CRTS®), helping seniors and their families in senior-move management, downsizing, and estate-sale services. recently earned a bachelor’s degree in professional organizational development from Lenoir Rhyne University. Nicole is a Lake Norman life, leadership, and business coach. Realtor and Broker JULIE CASH , and The Cash Group, affiliated with Keller Williams Realty, have moved. Their new office is at The Hatler House on The Point, at the corner of Brawley School Road and Chuckwood Road. Owner BARBRA BRYAN and The Goddard School in Mooresville donated more than $5,200 to the Pinky Swear Foundation, which financially supports families whose children are fighting cancer. has created the F4L Diva Protein Bar, a sugar- gluten- soy- and dairy-free, Paleo-Vegan protein bar. Tiffany is a North Carolina licensed professional counselor, and is the creator and founder of Fit 4 Life Studio in Charlotte. She is an integrative and holistic mental health therapist. Love You Back Boutique owner AMBER FADIO has opened her second location, in Cornelius. The boutique offers a variety of options in fashionable clothing and charming accessories at affordable prices. Centerpiece Home Staging designer LISA MCCOY won the Over the Top award for extreme design excellence for her “Christmas at the Lake” design. This design competition and fundraising event was sponsored by the North Mecklenburg Woman’s Club. and co-owner of Big Hat Larry’s Guitars, Music, & More in Mooresville with Chris Montgomery. A graduate of CPCC and previously contracted as a graphic artist for large-scale corporate brand packaging, Laura also designed the store’s 16-foot guitar and winding keyboard mural. She brings new marketing initiatives, a restructured consignment program, increased inventory, piano lessons, and art classes. recently won a Best of the Lake award in the categories of whole-house remodel and master-bath remodel. Melanie is an interior designer in Mooresville. The design competition is sponsored by Lake Norman Homebuilders Association. 9TH ANNUAL LADIES TEA & TOUR Billy Graham Library, 4330 Westmont Dr., Charlotte Two seatings: 11 a.m. & 2:30 p.m. Best-selling author, speaker, and singer, Sheila Walsh will give an inspiring word at this event that includes music and fellowship with friends. Each ticket includes a guided tour after the tea. Preferred seating is $40, regular seating is $30. ART ON THE GREEN Davidson Village Green, 216 South Main St., Davidson April 15: 6-9 p.m.; April 16: 10 a.m.5 p.m.; & April 17: Noon-4 p.m.
4TH ANNUAL IREDELL GARDEN FAIR: LEARN TO GROW, GROW TO LEARN 444 Bristol Dr., Statesville 9 a.m. – 2 p.m. This free, rain-or-shine event, sponsored by the Iredell Extension Master Gardener Volunteer Association, will host 50 local vendors with a plant sale, yard and garden accessories, hands-on activities, demonstrations, and speaker workshops. For more information, visit iredellgardenfair.weebly.com. This popular annual art festival brings many to enjoy art, live music, and food. Artists throughout the region will have art displayed and for sale. A local-art gallery crawl will include live performances of jazz, blues, and rock music. AN EVENING FOR DOVE HOUSE The Charles Mack Citizen Center, 215 N. Main St., Mooresville 5-10 p.m. This 15th annual event will have live music, cuisine from at least a dozen local restaurants, and a live auction— emceed by Larry Sprinkle. Individual tickets are $125 each, and corporate tables for 8 are $1,200. This event is the major annual fundraiser for Dove House Children’s Advocacy Center, which provides services and support for child victims of sexual abuse and their nonoffending family members. Why pay mall prices, when you can pay our “gently used” prices? We pay you CASH On-the-Spot We buy and sell clothing, shoes, accessories, toys and equipment. Our stores are fun, organized and easy to shop... So you can find what you are looking for without hunting through a jungle of product. She is my biggest fan. She has encouraged me to pursue my hobby of outdoor writing and has been my supporter and most serious critic, helping me to publish seven books. She constantly strives to improve as a person and as a wife. While tending to her business nearly 24/7, she continues to place primary emphasis on the family with the belief that family is the cement for a successful future. She knows what’s important in life. Not only was she instrumental in helping me get through the aftermath of my first wife’s death, she showed strength and loving concern when I, too, battled cancer. Mary Lou inspires me with her seemingly unending energy and constant motivation to improve. She makes sure that we both keep our minds and our bodies active, even in retirement! 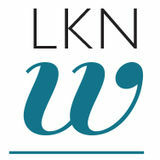 If you have an LKNWoman hero in your life, tell us all about her. Email Dana at dana@lakenormanwoman.com with My Hero in the subject line. the volunteer Guardian ad Litem (GAL) will do is to get to know the child. The GAL will want to know the child’s needs and wishes. Communication will begin with the school, the Department of Social Services caseworker, the detective, and various other people involved with the child. All this information will go into a report for the judge, along with the recommendations of the Guardian ad Litem. I currently work with five children who are in DSS custody. They range in ages from elementary school to high school. Some of them live at the Iredell Home for Children, some with relatives, and some with a church family. Each child has different circumstances and wishes. Two of my children asked to finish out the school year in their own high school instead of being transferred. The judge agreed. One teenager asked to be allowed to visit his father who was incarcerated. The judge agreed. One asked to live with an aunt and uncle; again the judge agreed. I’ve discussed career options with all my teenagers and hopefully helped them to make good decisions. I’ve also listened to their hopes and dreams for their future. Surprisingly, even though they have gone through severe neglect and abuse, they still want what most kids want: to have a good job, to earn lots of money, to have a home, to get married, and to have children of their own. I find it sad that the perpetrators—the parents—have representation in court. They each either hire an attorney or are assigned one. The victim, the child, would not have any representation in court if not for the Guardian ad Litem program. Volunteers are the voice of the child in court. The Guardian ad Litem program was established in 1983 by the North Carolina General Assembly. Each county in North Carolina has a Guardian ad Litem program. The Statesville office is located next to the Court House and serves both Iredell and Alexander Counties. There are three paid employees and 90 GAL volunteers working from this office. They serve approximately 260 children. Presently there are 41 children in Iredell waiting for a Guardian ad Litem. The Iredell GAL program needs more volunteers. The requirement to be a GAL is to be an adult who desires to help a child in need. This is one program that doesn’t ask for your money, only your time. To volunteer, please call 704.832.6621. You will find it to be a most rewarding experience because you will be making a difference in the life of a child. Kathy Wilkes, a retired Charlotte Mecklenburg Schools assistant principal, is an Iredell County Guardian ad Litem volunteer. To volunteer in Iredell County, call 704.832.6621. To find a GAL office near you visit www.volunteerforgal.org, or call 1.800.982.4041. Place chicken breasts in cold water, cover, bring to boil, turn off heat, steep for 15 minutes, drain, shred, and chop finely while still warm. Sauté onions in Greek olive oil. Add garlic when the onions are becoming golden brown. Add green chiles and green enchilada sauce, and simmer for 2 minutes. Add 1-2 cups reserved chicken broth and vegetable bouillon cube(s). Amount and proportion of liquid are to your desired taste and consistency. Simmer and add more liquid, if desired. Add the chicken, beans, and cilantro. Add lime juice, to taste. Serve with rice or corn chips. Garnish with yogurt or sour cream, green taco sauce, lime wedges, cilantro sprigs, and a green hot sauce. Note: My aunt cooks brown rice with a clove, a cinnamon stick, and a cardamom seed. It gives the rice a nice flavor and goes well with this dish. Jodie Silver, DC, owns and practices at Southeast Chiropractic in Denver. She also holds cooking demonstrations to promote healthy eating habits. Visit her website at www.southeastchiro.com/denver. This is the highest quality oil and is extracted from olives through a process called “cold pressing,” which means the oil is removed using only pressure, not heat. This is the purest form of olive oil and has the most health benefits. It also has the lowest acidity (under 1 percent). This is what you would want to drizzle over fresh mozzarella! Also a purer form of oil, virgin varieties are made from the first pressing. Slightly riper olives are used, and there is typically a lighter flavor with 2 percent (or less) acidity. Like extra-virgin, it will start to smoke at low temperatures, so instead, it is often used in salad dressings and other dishes where you want to actually taste the fruit. Labeled simply “olive oil,” this is a mix of refined olive oil and virgin olive oil. If the original oil is not good enough to be virgin or extra-virgin, it is processed to remove the bad odors and flavors. Because heat is used during the extraction stage, this oil contains fewer antioxidants. This variety is lighter in flavor and is great for baking since you usually don’t want to taste olives in baked goods. It has a high smoke point, so it is also good for sautéing, grilling, and frying. For more information on olive oils, check out The Olive Oil Times at www.oliveoiltimes.com or The International Olive Oil Council at www.internationaloliveoil.org. Spring into Summer Looking and Feeling Your Best! Save this Date: May 19, 2016, 4-7 p.m.
•	Practice positive self-talk. When you find yourself thinking negatively, tell yourself to stop! Replace the negative with positive thoughts that are gentle and encouraging. way to reconnect to God is to find a quiet place and let go of negative thoughts and emotions—release them to Him. Brain activity during meditation and prayer shifts us from the stress-prone, right-frontal cortex to the calmer left-frontal cortex. Take time each day to count your blessings. Make a list, or keep a gratitude journal. Appreciating the good things in this way can make your world better and recharge your spirit. And finally, don’t forget to take time to be plugged into others. Here are some simple ways to do this: •	Reach out. When you’re feeling negative or depressed, it’s easy to become isolated. Being connected to encouraging and positive people can recharge your spirit. •	Help others. Volunteering or performing random acts of kindness connects you to others and can give you a satisfying feeling of accomplishment. As much as our tech gadgets need power to function, so do we. Be intentional about plugging into the power sources that truly matter. Rachele Caputo, MA, LPCA, specializes in individual counseling of pre-adolescents, adolescents, and adults as well as relationship counseling for couples at Youtopia Counseling Services in Cornelius. For more information or to schedule an appointment, call 980.231.0955, or visit www.youtopiacounseling.com. The mind, body, and spirit are intimately connected. Because unhealthy thoughts and emotions can create a vicious cycle that leads to unhealthy physical patterns, we can choose a victorious path that includes a positive, healing, uplifting spiral. By mixing the ingredients of attitude and action, we can change the flavor of our own lives. Learn to nurture your body and soul to lead a more balanced life. On Point Carolinas Realty is now hiring! Looking for highly motivated, experienced and successful Real Estate Brokers to join our small boutique firm. Ability to work independently combined with excellent negotiation and communication skills. Pleasant, trustworthy and team player. Competitive commission schedule. Please submit resume to Gus Testa at gus@onpointcarolinas.com or call 704-400-4683. Beautiful 2 Story/finished basement home 4 BRS/3.5 Baths – Meticulously maintained Great location and great schools! 2BR/2Bath ranch townhome. No stairs, no steps and no lawn maintenance.